When it comes to the sub-$250 price range, the new Nokia 5.1 might be the perfect phone. Of all the new models announced at Nokia's event in Moscow, the Nokia 5.1 offers the most with the least compromises. For a third of the cost of a flagship, you get a phone with a premium build, solid specs, and good battery life. The Nokia 5.1 is the successor the 2017 Nokia 5. The previous iteration was a somewhat confusing launch as it offered only a slightly better overall experience than the 3 series at a higher price. But with this year's upgrade, HMD has better positioned the 5 series. It's now closer to the Nokia 6.1, but makes strategic compromises to maintain a lower cost. The result is a phone that stretches every dollar in its sub-$250 price tag. While Nokia was one of the better OEMs when it came to software updates and security patches, HMD has decided they want to get even better. As with every other 2018 smartphone in their lineups, the Nokia 5.1 is a part of the Android One program. This program allows the Nokia 5.1 to be one of the first smartphones to receive monthly security patches and OS upgrades, because unlike most other phones, Google handles the updates. Additionally, all Android One devices run an unmodified version of Android 8.1 Oreo. Therefore, the time needed to optimize a new security patch or OS upgrade is much lower than other smartphones which can take months to optimize their skin for the new OS update. The Nokia 5.1 is constructed from 6000 series aluminum, an alloy that includes magnesium and silicon. While it isn't the strongest material, it does offer significantly better durability than plastic while retaining a premium feel. To improve the strength of the phone, it uses a unibody design — a single-mold chassis which enhances the robustness of the device compared to using a collection of small parts. The most noticeable change from last year's Nokia 5 is the upgraded display — from 720p HD to 1080p Full HD. Not only does this make media consumption much more bearable, but it improves the overall experience, as apps can now take advantage of the extra pixels. Additionally, the screen size also increases from 5.2 inches to 5.5 inches. The result in almost double the PPI of its predecessor, from 282 to 439. The aspect ratio also changed from 16:9 to 18:9, following the recent trend in flagship smartphones. Thanks to these changes, the bezels are much smaller, resulting in a much higher screen-to-body ratio. The Nokia 5.1 is 73.15%, an increase from the 68.83% of last year's model. At the heart of the Nokia 5.1 is the MediaTek P18 chipset. While this system-on-a-chip may be unknown to most Americans, it's definitely quick, offering high performance at a low cost. It uses a big.Little core configuration with 2 GHz on the big cores and 1.2 GHz on the Little cores. On the graphics side, the Nokia 5.1 uses the Mali-T860 MP2 clocked at 800 MHz. This GPU should offer better performance than last year's Adreno 505. While it doesn't compete with gaming phones, it does allow you to play low graphics games without stutters or lag. The rear camera received an upgrade from 13 MP to 16 MP. HMD retained both the dual LED flash and f/2.0 aperture from its predecessor. The front camera is still 8 MP, but now is wide-angle at 84.6°. Unlike the Nokia 3.1, there is a rear fingerprint reader for fast and secure unlocking. Providing the power to this device is a 2,970 mAh battery, a small decrease of 30 mAh from last year's model. However, the new processor's power efficiency should translate to very comparable battery life. At it currently stands, we don't have the US pricing for this device. The $250 pricing is based on the announced price in Euros. When converted to dollars, the highest 3 GB/32 GB variant will run $250. However, European pricing is typically higher due to taxes. Additionally, to properly separate it from the Nokia 6.1, it will need to be lower than the 6.1's MSRP of $269. As for availability, technically HMD hasn't official revealed its US release date. 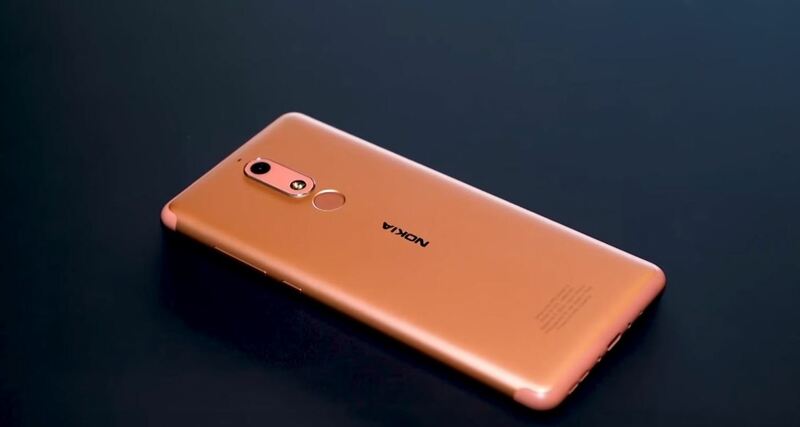 We do know that this smartphone will hit shelves in July. It is highly likely the US will receive the device around the same time, as NokiaPowerUser discovered an FCC listing for the phone and its variants. HMD asked for 45 days of confidentiality for the device, which would place a potential release around the middle of July. Three colors will be available: Black, Blue, and Copper. The Nokia 5.1 is an excellent value at its price. At less than $250, you are enjoying luxury features — the premium unibody aluminum build and 18:9 1080p display are just some of the features typically reserved for phones 3 times its price. What do you think about the Nokia 5.1? Would you buy this as a second phone or as a gift? Let us know in the comments below.